Record your surroundings, describe them with tags and comments, then upload the recordings to our map. From there, a permanent public record of everyday sounds – the UK SoundMap – will be made accessible to everyone, while being stored at the British Library and made available to soundscape experts. The UK SoundMap is a new community-led survey in sound of the acoustic landscape (‘soundscape’) of Britain. What does the UK sound like today? 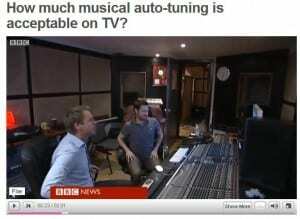 What impact do these sounds have on our lives? The SoundMap is a partnership project of the British Library and the Noise Futures Network. 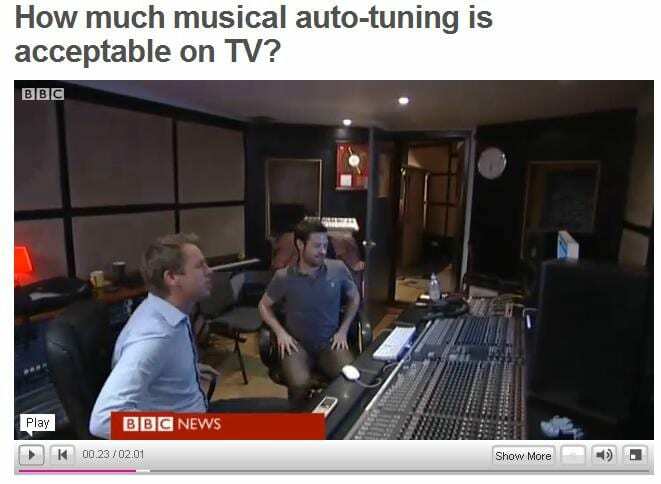 It uses widely available mobile technology in a novel way to capture and aggregate research-quality audio samples. 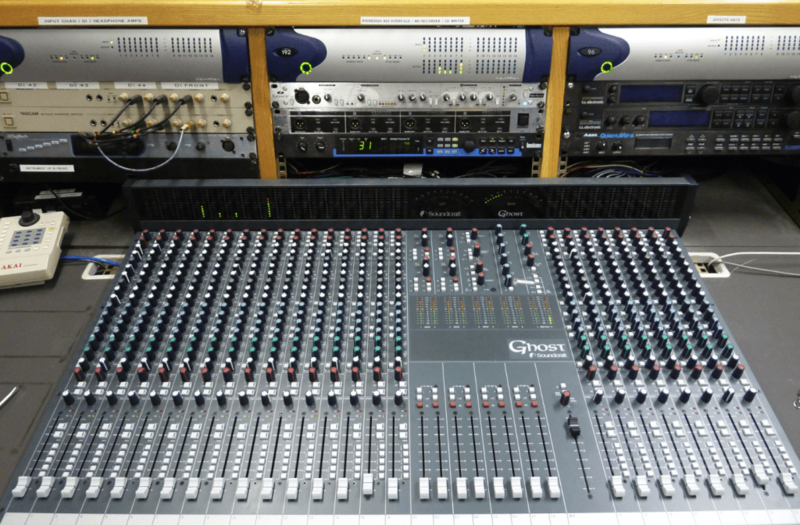 Your recordings will be studied by experts from the Noise Futures Network and we shall post an overview of the research results once sufficient data has been collected and analysed. 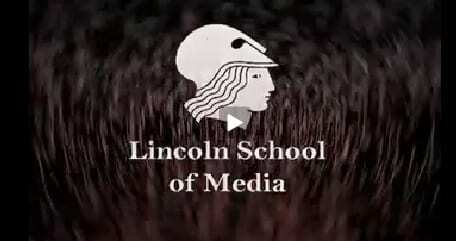 Moving Image exercise – Semester B from LINCOLN SCHOOL OF MEDIA on Vimeo. This was a mute piece of film (taken from Robert Flaherty’s ‘Nanook of the North’) which has been brought to life by level 1 Audio Prod Students, Atkins, Bates and Jarvis. 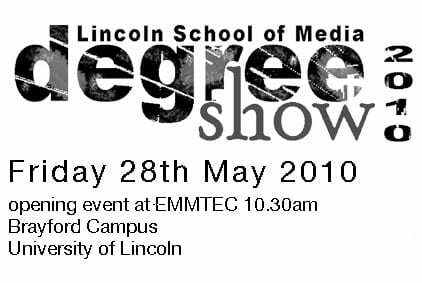 Degree Show 2010 coming soon . . . . 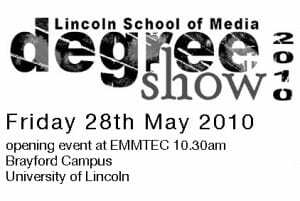 Published on:May 19, 2010 Category: Uncategorized	No Comments on Degree Show 2010 coming soon . . . . This video Kieran Hebden discusses many of the topics covered in the Electronic Music Production module.